The University of Central Florida Board of Trustees named UCF Provost Dale Whittaker the university’s president-elect after a nationwide search. The University of Central Florida Board of Trustees named UCF Provost Dale Whittaker the university’s president-elect Friday after a nationwide search. 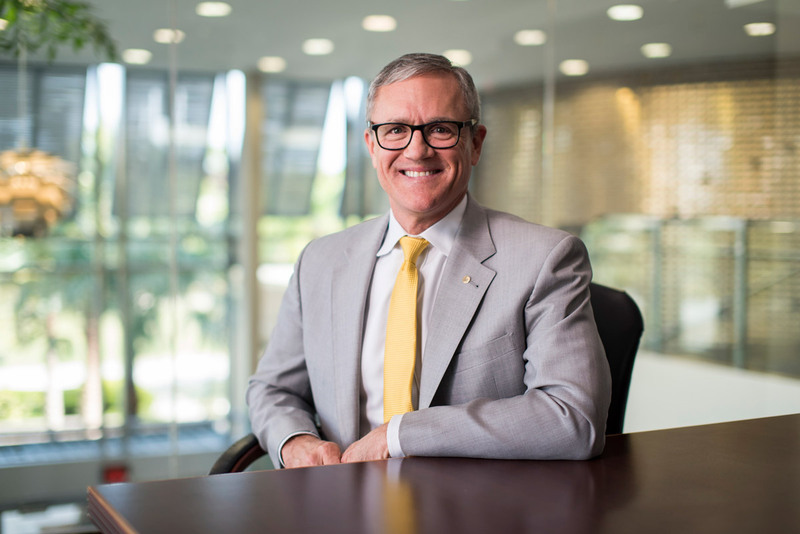 Whittaker, who currently serves as UCF’s provost and executive vice president, would become president July 1 if his selection is confirmed later this month by the Florida Board of Governors. He would replace John C. Hitt, who is retiring from the presidency on June 30. “What excites me most about UCF is the opportunity that it creates for so many to become so much through innovation; through a youthful, high-energy spirit; through resourcefulness; and through this aspiration to be the best it can be,” Whittaker said. Marcos Marchena, chairman of UCF’s Board of Trustees, introduced Whittaker as UCF’s president-elect and his wife, Mary, for the first time at a news conference on Friday. Whittaker’s selection is not final. The Florida Board of Governors, which oversees the 12-member State University System, is scheduled to interview him and hold a confirmation vote on March 29. He has served as UCF’s provost since fall 2014, and was promoted to executive vice president in 2015. As provost, he provides academic leadership for UCF’s 13 colleges, multiple campuses and research centers and institutes. Whittaker also oversees academic support services and is responsible for curriculum, academic planning, faculty appointments, faculty development and promotion and tenure decisions. At UCF, Whittaker has led efforts to reorganize Academic Affairs, recruit and hire more than 200 new faculty members and develop a UCF Downtown campus. He also launched a new initiative to establish faculty clusters that bring together researchers from different disciplines, such as sustainable coastal systems; disability, aging and technology; and genomics and bioinformatics. Whittaker and his wife have two adult children. In announcing Whittaker’s selection, Marchena thanked members of the Presidential Search Committee for conducting a comprehensive, transparent and inclusive search. Search committee members represented students, faculty, staff, alumni, parents, trustees, community leaders and the Florida Board of Governors. The panel hosted four listening sessions to solicit feedback and conducted an online survey that generated more than 1,400 responses. The search committee interviewed eight semifinalists and invited four finalists back to UCF for two-day visits. Whittaker and the other finalists met with students, faculty, alumni, donors and community partners, and they gave presentations and answered questions at an open forum. 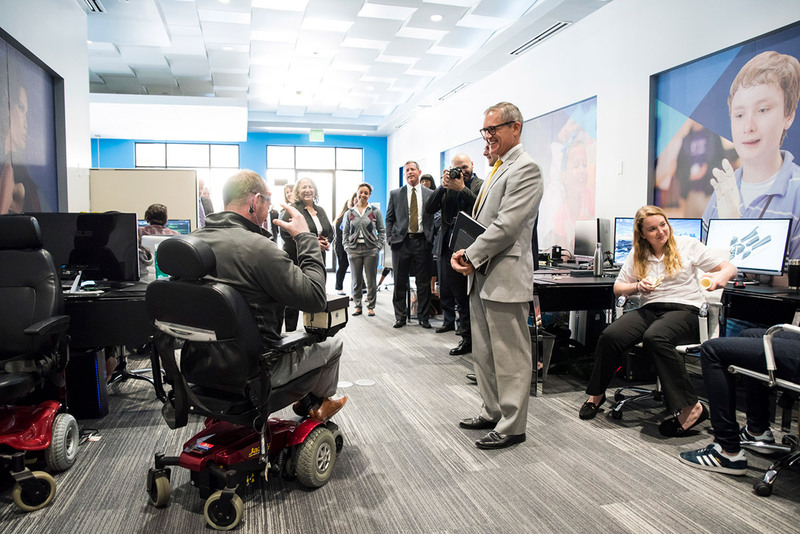 Candidate visits also featured sessions focused on diversity and inclusion, research and entrepreneurism, educational and community partnerships, the arts and athletics, as well as a campus tour. The Board of Trustees interviewed each finalist before selecting Whittaker. Hitt has served as UCF’s president for more than 26 years, leading the university’s growth in quality and size from 21,000 students in 1992 to more than 66,000 today. In a letter to Whittaker, Hitt offered congratulations to his successor.